Ground beef and potato pie with phyllo is a baked pastry with a filling, similar to the recent spinach pie. Pies (pite, sing. pita) are a group of filled pastries integral to Balkan cuisine. Ground beef and potato pie is an old favorite, and since we’ll be using phyllo from the box, it can be on your table in one hour. Šareni burek is my favorite pie. All it really is, is a filling made of meat and potatoes, baked in phyllo. To simplify, it’s a meal wrapped in dough. 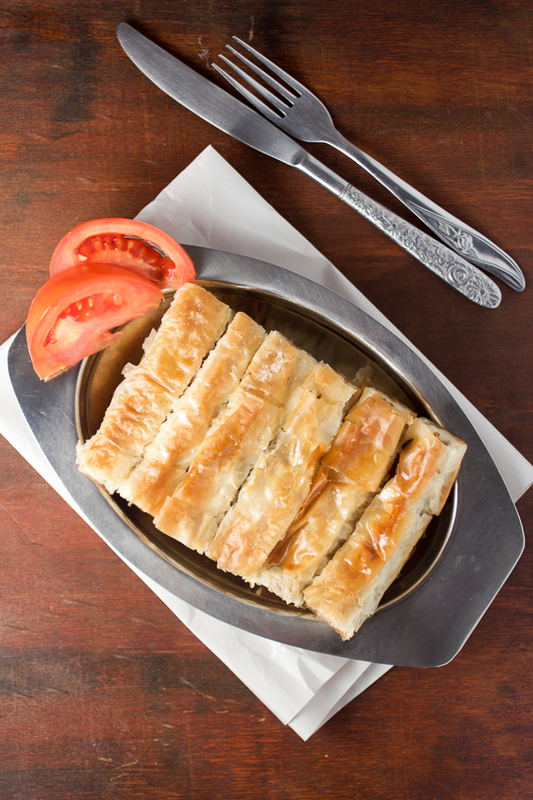 Balkan pies taste best with homemade phyllo. 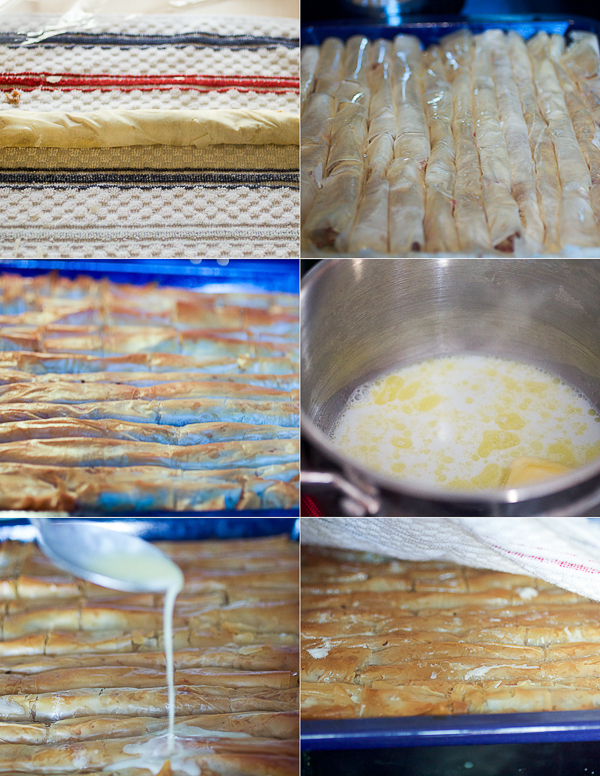 Phyllo from scratch is intimidating at first. What you need to do are baby steps. Some training wheels of sorts. Start with phyllo from the box. The pie won’t be the same in taste to pies made from scratch, but it’ll be pretty damn similar. In Bosnia and Herzegovina, pies are called based on their filling. Krompiruša is a potato pie, zeljanica is a spinach pie, while burek is a meat pie. 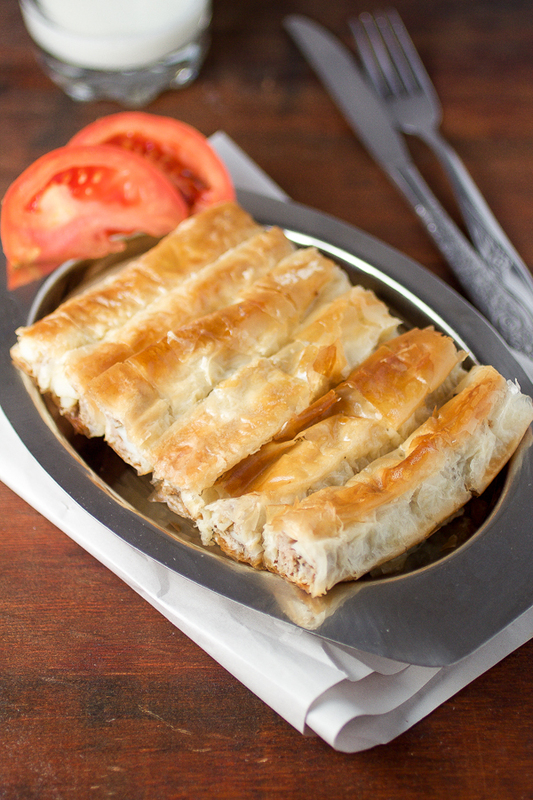 Šareni burek is translated as mixed or colorful meat pie, due to the potatoes added to the meat. Regionally, to great dismay of everyone in BiH, people call all type of pies burek. They say burek with spinach, or burek with potatoes, or the worst offender, burek with cheese which is really sirnica or cheese pie. 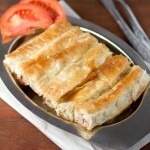 Just remember is if you go to Bosnia, burek is a meat pie only. If you order burek and expect it to come with anything else you’ll piss a lot of people off. So, when in Bosnia and you hear burek, think meat. This naming is probably a moot point for you. I get it. But people get territorial about this issue. Recently a lady from Croatia ordered burek with cheese in Sarajevo, and she got round of a burek (with meat of course) cut in half and a slice of cheese on the side. Things to remember when making this ground beef and potato pie is to ensure your baking pan is about the same length as the phyllo to prevent having to cut for fitting. I layered this ground beef and potato pie in a different way than the spinach pie to give you more ideas about what pies can look like. These are great to take to work or school. My friend Sylvia loves making a few pans to take with her family when camping in wild lands of Colorado. In a large bowl combine onion, potatoes, ground beef, 1 tablespoon of oil, and seasonings. Integrate all ingredients well, and set aside. Heat oven to 490°F. Take phyllo out of the box and unwrap. Take one sheet of phyllo, spread it on your working area and generously spray (or brush) with oil. Grab a handful or two of the filling and spread a line of it (the thickness of two thumbs) on one the longer end of stacked phyllo sheets. Roll the filling and phyllo up like a cigar. Spray (or brush) a dash of oil on the top of the rolled and filled sheets. Place in an oiled baking pan. Repeat the previous step for remaining ingredients. (Place the rolls tightly next to each other in the pan.) Place in the oven. Lower heat to 450°F. 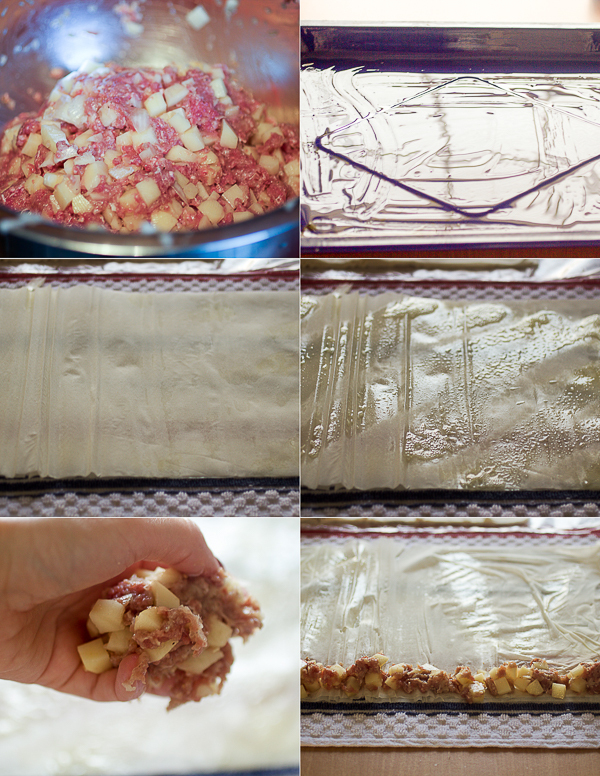 Cover pie with foil after the first 8-10 minutes. Bake for a total of 30 minutes. Take the pie out of the oven. Melt butter in water and spray the pie with it. Cover with kitchen towel and let the pie cool off for about 30 minutes. (Optionally) Serve with a cold glass of buttermilk, and tomato salad. Finally finally finally a pita recipe that a non-Bosnian can actually make!!! I made this yesterday and it turned out amazing on my first try! Once again, the photos were incredibly helpful to me as I followed the recipe. The only thing I changed was that I used melted butter instead of oil in between the phyllo sheets and because my oven tends to run pretty hot, I baked the pita at 425 F for 25 min and then reduced the temperature to 350F for the last 5 minutes because it was getting pretty brown. It was delicious, my Bosnian husband said it was very good, and even my picky kids ate it! I can’t wait to try the spinach one. Thank you Aida! With the spinach one, feel free to add some feta and reduce ricotta if you like feta cheese more. And yes, always listen to your oven. Mine runs on a slow, cooler side. 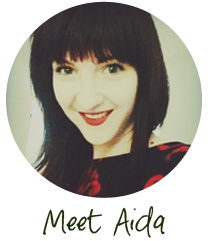 Sedina, thank you for giving me the privilege to bring a little taste of our cuisine to your home. I am very sorry about your parents. Good luck with your cooking endeavors, I’m sure you’ll do great. Please stop by again and let me know how your pita turned out. I really want to know what happened to whoever ordered burek with cheese, the link to radiosarajevo is dead! Other than that, thank you 🙂 Here is hoping you post more pies. Thanks for your comment, and if you have a particular pie you’d like to make, let me know and I’ll put the recipe in the rotation. In the video there is what appears to be a cream sauce at serving. What is it?